What are Yoga sûtras? The Yoga sûtras comprise the four books written by Patanjali about 1800 years ago. The sutras are written based on the Samkhya philosophy, but they also show the influence of the Upanishads’ thinking. In them, Patanjali describes with such precision and in such a concise way the Science of Yoga that it is impossible to overcome them. The study of Yoga sûtras is essential for every serious student of Yoga. In the sutras, Patanjali gives us the 8 techniques that make up the Ashtanga Yoga (Ashtanga means precisely “8 parts”), and that helps us to calm the mind and reach higher states of consciousness, being Samadhi or Meditation maintained, the Higher state of consciousness, which is the goal of yoga. Asana means “to be seated.” When Patanjali talks about “asana” it refers to the meditation posture, to sit “firmly and comfortably” with the legs crossed and the right back, in order to place the body in a position that allows our energy to move freely to it allows the body to remain totally still, So comfortable and relaxed that it allows us to meditate and reach those states of consciousness. All the “asanas” or yoga postures that are from is known as Hatha Yoga, the most popularized in the West. It helps us to keep our body in an optimal state of health. As the yogis consider the body to be “the temple of the spirit”, our duty is to take care of it as best we can, so that we feel comfortable within it so that it does not represent an obstacle during the practice of meditation and allows us to maintain optimal health during a long life. 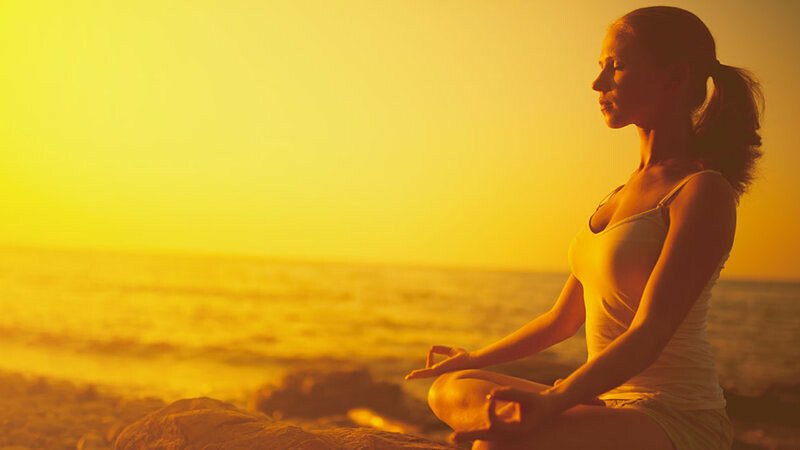 In summary, all the asanas help us to realize and maintain this asana, which is the basis of meditation techniques, which in turn is the goal of yoga. The asana, despite its name and its apparent simplicity, is not easy, especially for Westerners, to get used to sitting always in chairs. Being able to remain in this position, immobile, for longer and longer periods of time, and feel comfortable in it, certainly requires practice, perseverance, and patience. There are several meditation postures, crossing the legs in one way or another, in this article we are going to study Siddhasana, which is the easiest and most accessible meditation posture for every beginner in the practice of yoga, and it is the first we have to learn from the other Meditation Postures. It does not matter if you have not yet decided to start a meditation practice, simply placing yourself in this position can make you feel your mind calm down and calm down. It is when your body is balanced in the right column, the prana, the vital energy, flows freely, we breathe more easily, and our mind rests. As almost all asanas strengthen the back, they make the joints of the hips, knees, and ankles more flexible, increase lung capacity, make our breathing more conscious, wider and more comfortable, they manage to make us more aware of the sensations of the body, etc. They also help us to be able to execute and maintain meditation postures and meditation techniques more easily. Certainly, if we did not do the physical work of the asanas, our meditation work would be more arduous. “Asana” or “sitting firm and comfortable” is the first step of the meditation protocol. If we cannot sit comfortably with our backs straight and remain motionless in that posture, until the body “seems like it is not there”, we will not be able to go deeper into meditation. How to do siddhasana step by step? Sit on a folded blanket or a cushion that is firm and has about 10cm, thick. Place the pelvis on the cushion. Place one heel near the perineum and the other foot in front and separate knees well. Now with your hands, bring your thighs and buttocks back, separating the bones and making your hips wider. A little forward the pelvis, feeling that curves a little more the lower back; take a little more buttock back. Now tilt the pelvis and stretch the coccyx slightly to the floor, the lumbar stretch and the lumbar back to its natural curvature. The coccyx has to be in the air, you do not have to sit on it. Lengthen the sides from the hips to the armpits and lift the shoulders a little and then bring the head of the humerus back and feel that the shoulder blades are flat on the back. Slide the shoulders and shoulder blades towards the waist and with the lower tip of the shoulder blades direct a bit with the heart forward, opening the heart. Now take a big breath and separate the shoulders slightly to the sides, separating the shoulder blades, opening the back of the thorax, cupping the armpits a little, keeping the heart open. Bring the sides of the neck a little back. Stretch the back of your neck slightly and lower your chin a little. Place the neck in a neutral position, maintaining a natural curvature, with the chin parallel to the ground. Feel the top of the head and from there stretch the whole column a little more towards the ceiling. Make sure that the column maintains its natural curvatures, that it is not forcing the posture, that its chest is wide open and that its breathing is fluid and very comfortable. Place your hands on your thighs, doing the Jnana Mudra with your fingers. The elbows aligned with the shoulders to help maintain the position of the shoulders. Once in this position relax your whole body, from the head to the feet. Feel very comfortable, stay in this position while performing your pranayama or meditation exercises. Flexes the joints of the hips, knees, and ankles. If you are inexperienced take advice of experts, start the day through the yogic way, practice yoga each morning as a routine. There are tremendous benefits you gain from it in different yoga meditation states.